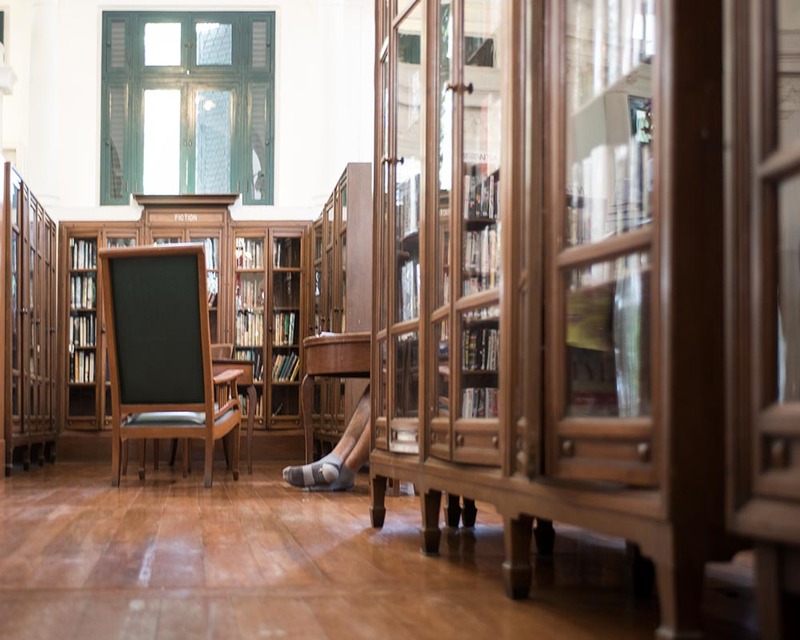 Neilson Hays Library’s origin is rooted in a women-led initiative and was fully realized by a husband’s desire to memorialize his wife’s achievements. 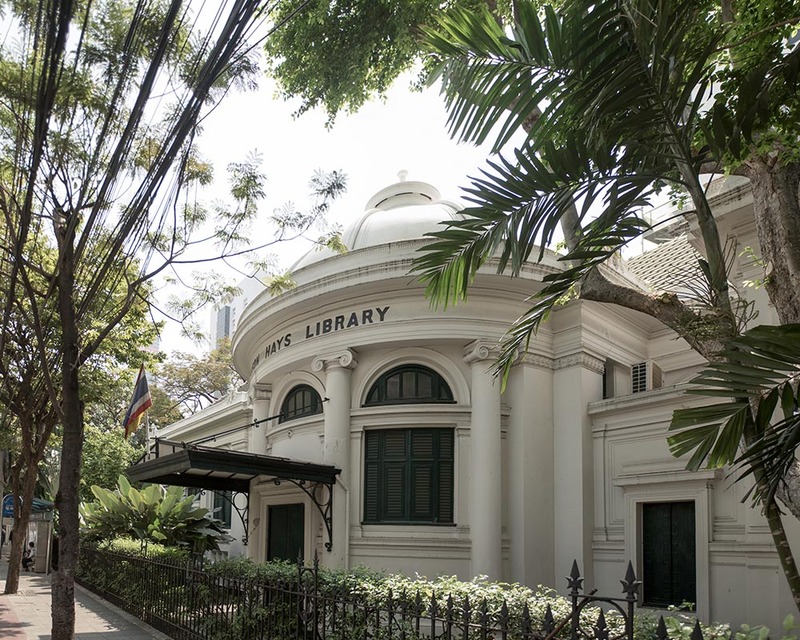 Neilson Hays Library is a little-known oasis for both the mind and body in chaotic Bangkok. 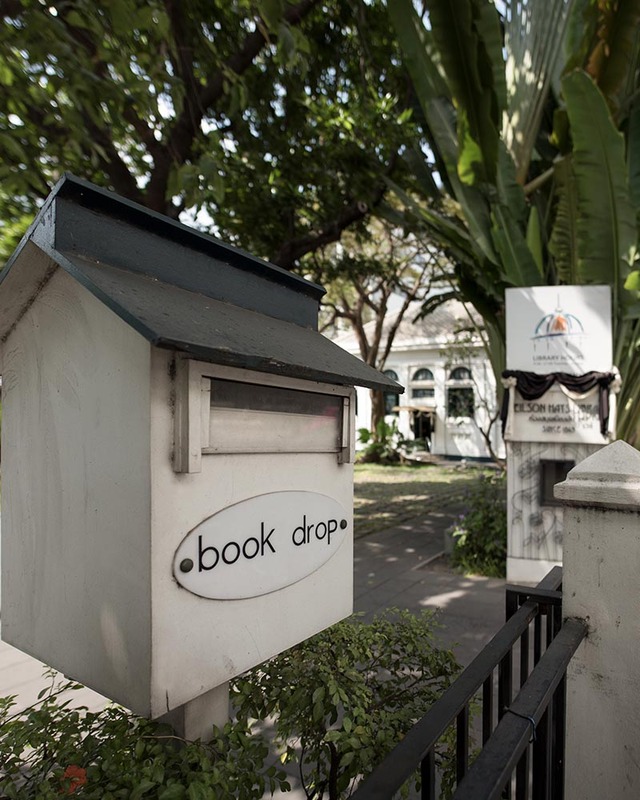 Libraries are already quite rare in the Thai capital. Neilson Hays Library is not only is Neilson Hays Library a book hub, but also an all-English one to boot. When you walk into the library compound, you immediately encounter a courtyard full of trees, which is another oddity in this concrete jungle. The building itself, inside and out, is a marvel. But to fully appreciate its existence, one should know the history of the library. 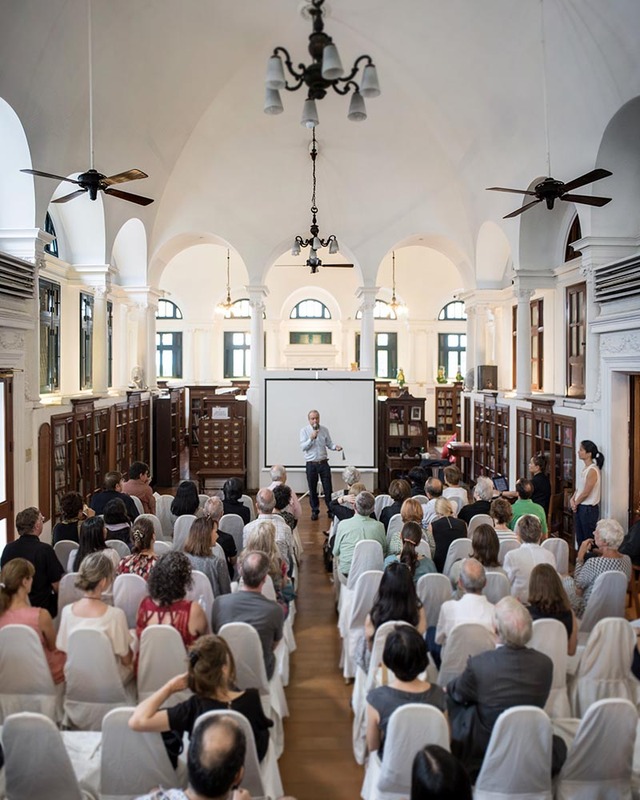 In 1869, at a time when Bangkok was nowhere near the metropolis it is today, a group of thirteen British and American women launched the Bangkok Ladies’ Library Association. This was done in hopes of creating a semblance of a true library, where one could share books. The books were originally housed in homes and later a chapel. The association and its activities grew to a point when it was decided that the books needed a single permanent home. In 1914, the plot of land where it Neilson Hays Library stands today was bought and the first simple structure erected. Jennie Neilson Hays, a Danish missionary, was one of the most active members of the association, serving three times as president. In 1920, she passed away and Dr Thomas Heywood Hays, in remembrance of her life, decided to commission a new library. 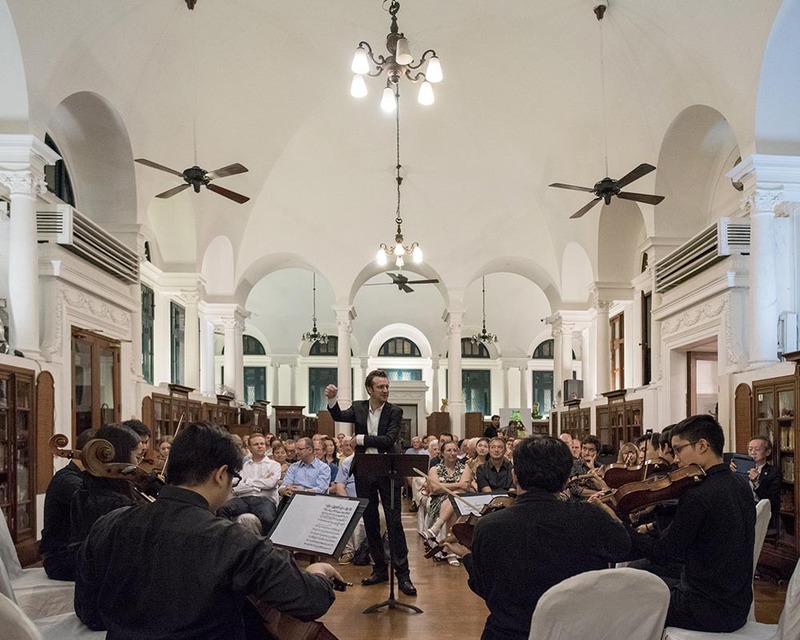 The original library structure was upgraded and redesigned by Mario Tamagno (who also designed Hua Lamphong). The result is the stately structure it is today. The neoclassical style can be seen from the columns and stucco decorative motifs. 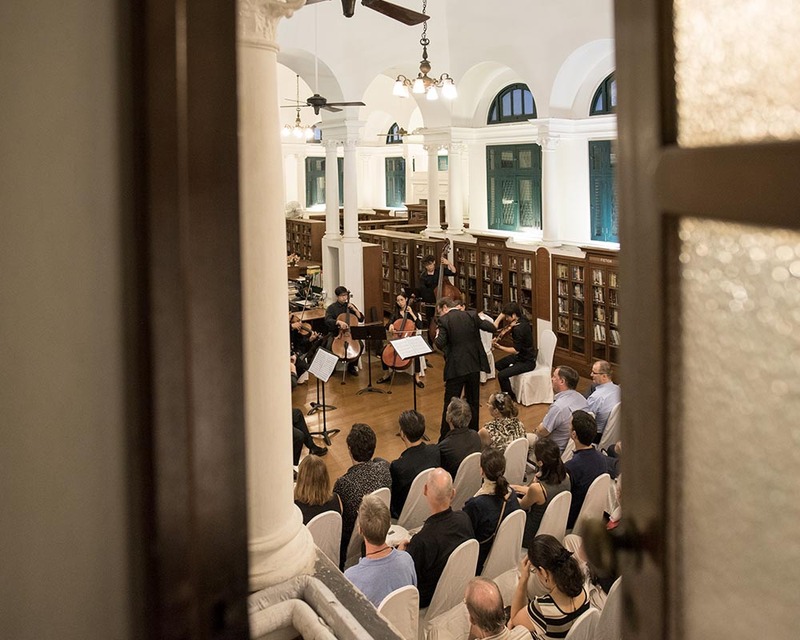 The highlight is its beautiful Italianate dome, once the imposing entrance and now a unique art gallery.